Página de inicio / Alojamientos gay / México / Puerto Vallarta / Condo "Mi Vi"
Fully furnished, modern decorate make the best option for your next vacation to PVR. Condo “Mi Vi” comes with equipped kitchen, a fridge, stove, microwave, coffee maker, toaster, blender. There is a patio connected to the kitchen with a washer and dryer. Comfortable living and dining furniture, TV screen, Wireless High Speed Internet, Netflix. 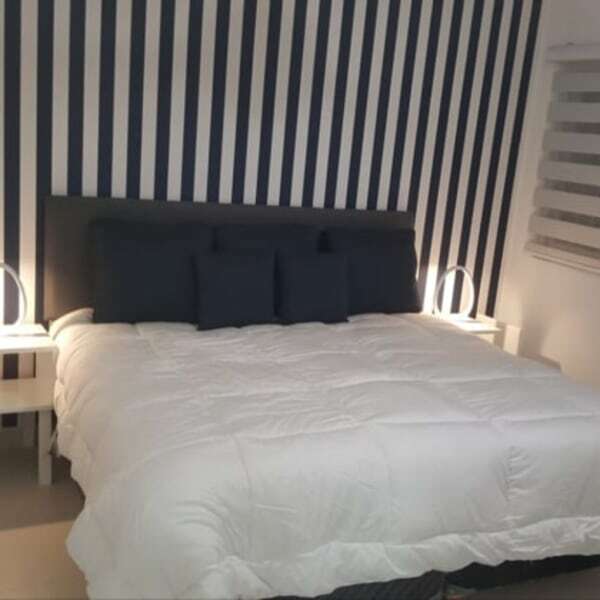 Condo “Mi Vi” located on the southside of PVR about a 10 min walk to the gay beach Los Muertos restaurants, shopping and other activities. I also provide unique optional services described below. These services were designed to make your vacation even easier and more enjoyable. Your wish is our command, and we make it happen! The Romantic Zone goes by many names – Old Town, Old Vallarta, Zona Romantica, The South Side, Colonia Emiliano Zapata are just a few. This is by far the coolest area to stay in Puerto Vallarta because of its combination of old Mexico charm and new-world comforts. It’s quaint village feel keeps people returning year after year. This is where you’ll find the highest concentration of restaurants, bars, and nightlife options. Downtown or centro. Together with the Romantic Zone, this area is the center of town where most of the action happens. Top choice for where to stay in Puerto Vallarta for the first time and for the nightlife, respectively. The famous Malecon (boardwalk) spans both zones and is lined with bars, delicious restaurants, famous nightclubs, beautiful sculptures, and art exhibits. It’s the best place to watch the sunset. Malecon has entertainment options abound, from free shows at the Los Arcos Amphitheater to comedy, music, and dance shows at Act II, this is Puerto Vallarta’s neighborhood theater. The square in the middle of the Romantic Zone plays host to a weekly open-air market, where you can try delicious cuisine, shop handmade crafts and jewelry, as well as clothing. The final zone in Puerto Vallarta is the South Zone. The mountains roll right into the sea so there isn’t much development in this area but there are beautiful, secluded beaches with crystal clear water. This is where you want to stay for the ultimate getaway vacation. You’ll feel like you’re on an isolated island even though the bustling downtown area is just a quick cab ride away.